While iOS devices bringing us stunning user experience, they also making us frustrated sometimes. When working with iPhone/iPad/iPod, we must be very concentrated especially when there are some important files stored on that device, as a small accidental mistake can cause unintentional removal of important data, which will cost us a lot of time and nerve. The cause of the data loss can be various, such as operation mistake, system crash, upgrade failure, and more. What should you do if you accidentally lost your data of iPhone/iPad/iPod? Don't worry, iOS Data Recovery will help you to get back all deleted or lost data from your iPhone/iPad/iPod in a few minutes. 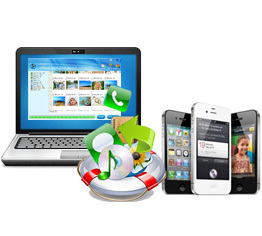 This iOS data recovery for iPhone/iPad/iPod is a professional data recovery for iOS devices. It recovers not only media files including contacts, music, video and photos, but also other files including SMS, call history, calendar, notes, voice memos, reminders, safari bookmarks and App data from your iPhone/iPad/iPod. 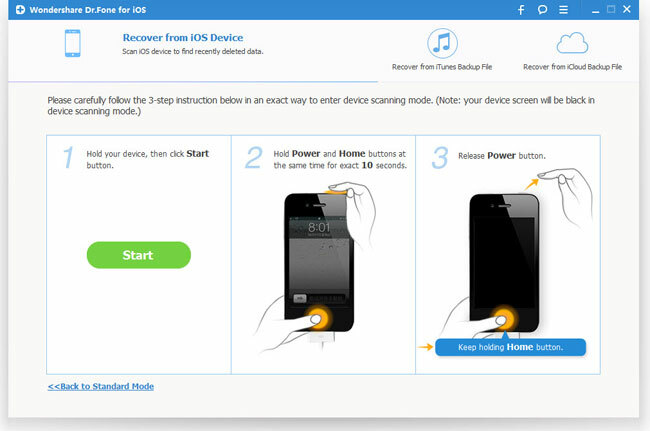 There are up to 3 ways to restore lost or deleted data from iDevices with this iPhone/iPad/iPod data recovery software. 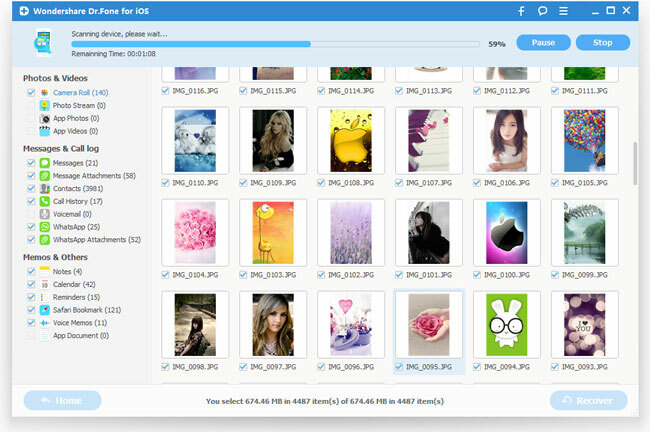 One is to recover data from iPhone/iPad/iPod directly and the other two is to retrieve lost files from iTunes backup and iCloud backup respectively. Now let's start to restore deleted data from iOS devices with this powerful iPhone/iPad/iPod data recovery tool. Note: We are showing the iOS data recovery guide of Windows here. For Mac users, you can visit: iOS data recovery guide for Mac, or simply refer to Windows guide for they are similar. 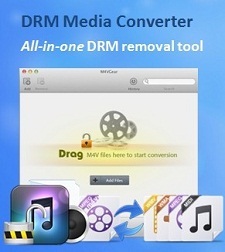 With this method, you are able to scan and recover all lost files from your iPhone/iPad/iPod devices directly. Launch iOS Data Recovery and connect your iPhone/iPad/iPod to the computer. A. 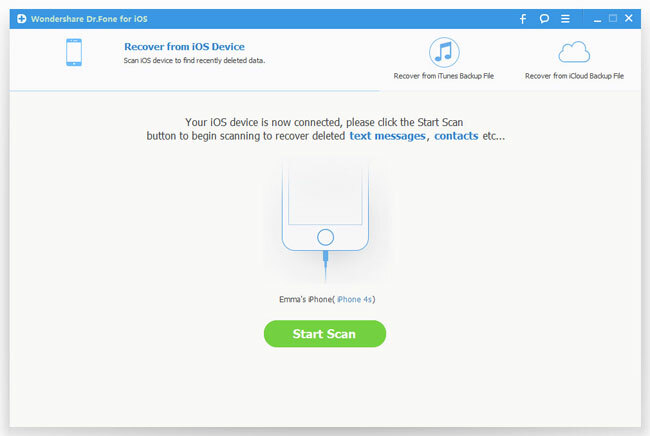 If you are using iPhone 5S/5C/5/4S, iPad Air, New iPad, iPad mini, iPad 2, iPad with Retina Display, iPad mini with Retina Display or iPod touch 5, you can directly click on the "Start Scan" button to begin scanning your device for lost files. 3) After 10 seconds, release the "Power" button while keep holding the "Home" button. After another 10 seconds, you'll be informed that you've successfully entered the DFU mode and you can release the "Home" button then. And after that, the iOS Data Recovery will begin to scan your iPhone/iPad/iPod automatically for lost data. All found data will be displayed in categories after scanning. You can preview all the lost data like contacts, messages, message attachments, call history, camera roll, photo stream, photo library, calendar, notes, reminders, voice memos and safari bookmark and selectively choose the ones you need to recover and click "Recover" button to begin restoring. With this recovery mode, you can recover your lost files by extracting iTunes backup files for your iPhone, iPad or iPod touch. Note: Please don't sync your iOS device with iTunes when you realized that you've lost data, or the iTunes backup file will be updated after the sync, which will make the lost data unrecoverable. 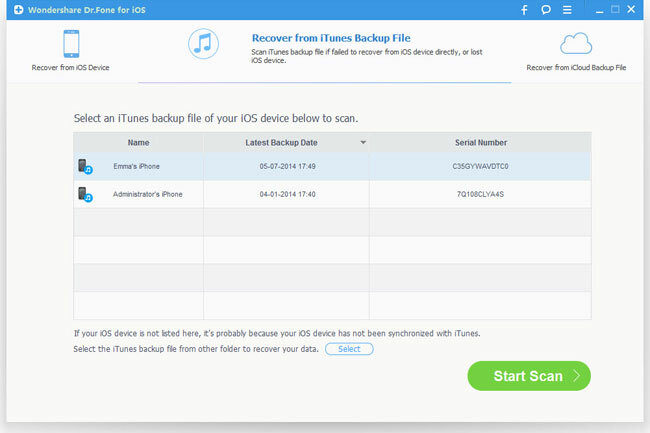 Choose "Recover from iTunes Backup File" recovery mode after launching the program. All your iTunes backup files of your iPhone, iPad or iPod touch which have ever been synced with iTunes on this computer will be automatically found and listed. Select the ones you want to restore and click "Start Scan" button to extract the files. After the scanning, you can preview all deleted contacts, messages, call history, notes, calendars, reminders and safari bookmarks in categories. You can selectively mark and recover those you want with the "Recover" button. 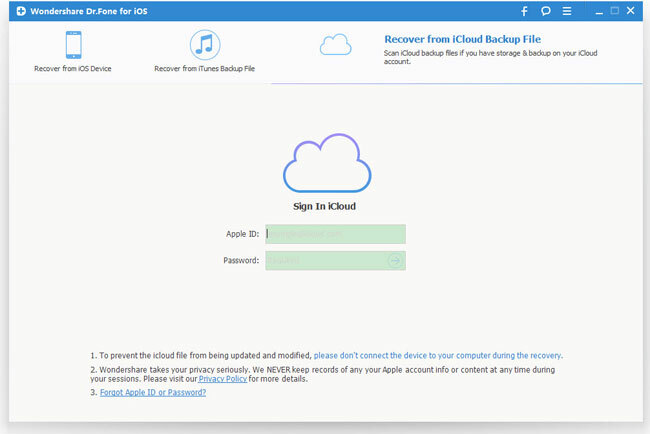 With this recovery mode, you can preview and recover all data in your iCloud backup. Please also remember not to back up your iOS device with iCloud immediately when you found data loss. 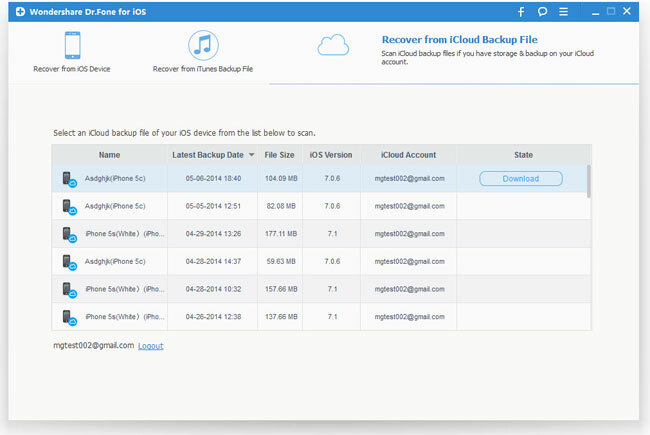 Choose the recovery mode of "Recover from iCloud Backup Files" once launched the program. Then enter your iCloud ID and password to log into your iCloud account. 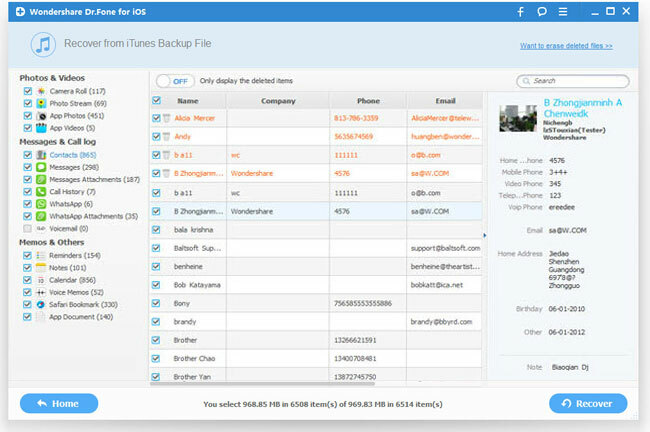 The iPhone/iPad/iPod Data Recovery will find all iCloud backup files in your account. Choose the ones you want to recover data from and click the "Download" button to get the files downloaded. And click "Scan" button to begin scanning iCloud backup files. 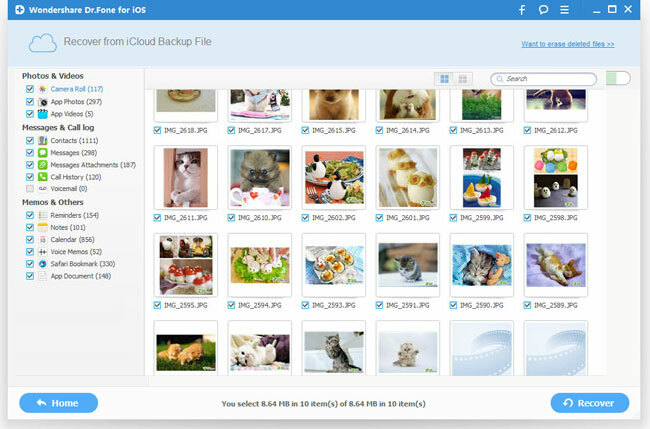 You can then preview all data in your iCloud backup file, like contacts, messages, photos, and more. Check and tick the items you want and recover them by clicking "Recover" button. 3) Restore data loss for various causes, such as iOS upgrade, device loss, jailbreak, system crash, accidental lock, etc.